Why Choose Us For Auto Body Repairs & Collision Repairs? Dent Erasers provide quality auto body repair and collision repair. Our auto body shop is AAA approved and has A+ rating with the Better Business Bureau. We are dedicated to customer satisfaction and truly care for our clients and their cars. We want all our clients to feel that we took care of all their auto body repair and paintless dent repair the way they would expect. ​Most of our business comes from referrals and repeat customers, which speaks to the quality of our services. Our service bays are well equipped and run by qualified and experienced ASE certified technicians. Our auto services range from routine maintenance to complex troubleshooting and reprogramming of your car’s computer. We have the latest state of the art vehicle repair equipment that enables us to provide quality engine repair and replacement services as well as mobile dent repair services. We do many things at our facility to make it easier for our clients. 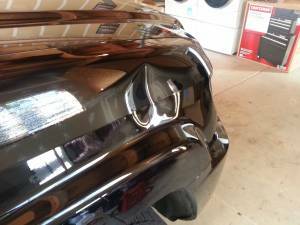 We start by providing same day automobile repair and mobile dent repair services. In addition, we provide 24-hour emergency mobile dent repair and auto repair services. Our shuttle service makes it easy for us to drop off your car. We will drop you off to your home or office and once your car is fully repaired, we will bring it to you. Clients can also wait for their cars to be repaired right here in our comfortable waiting room. Our auto repair shops including our customer waiting room are pleasant inside and out. We go the extra mile to provide our customers with amenities that they do not usually see in an automobile repair shop. We have heard words of astonishment and surprise about our bathrooms. Many people do not expect to see a clean, upscale, well-appointed bathroom in an autos repair shop, but each of our service locations has them for the comfort of our clients. ​Our autos repair and dent repair services are fair and affordable. In addition, our invoices are itemized and provide details of all the products and services that you pay for. With Dent Erasers, you will not have to worry about one-line invoices. Although our service professionals are experienced and knowledgeable, they attend various internal and external training programs to advance their skills and keep up with the latest developments in auto repair services. 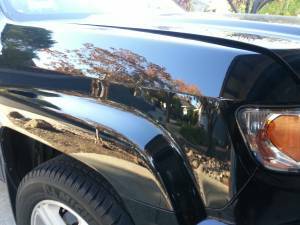 One of the things that we do right is auto repair and paintless dent repair and we take this very seriously. We start by hiring the best talent in the auto repair and maintenance industry. We then equip them with the best tools, equipment, and resources that allow them to be the best at what they do. The technicians in our auto body shop have a positive and friendly attitude and will go to great lengths to ensure 100 percent customer satisfaction. They will not use confusing jargon and will explain the details of our services in simple terms. We take extra steps to show you how you can avoid future problems and expenses. Call us today to request a free quote.